One of the questions that people always seem to ask about homeschooling is ‘What about socialization?’ The idea is that children who go to school will spend time with other children and therefore will learn how to socialize with their peers. 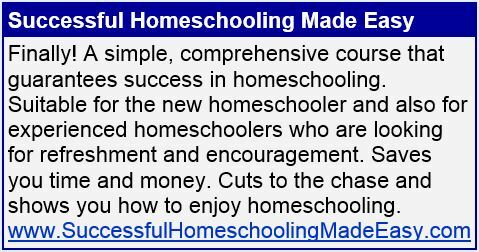 Whereas homeschooled children will be protected and cossetted in a boring, uninteresting environment at home, with little social interaction outside the family, and so will not learn social skills or have much fun. I always think this is a bit odd because schools claim to be places of learning, not social clubs. But even so, it’s an interesting question and deserves a thoughtful response. I knew one person who would answer this question with, “I know, isn’t it terrible? That’s one of my main reasons for homeschooling.” And, of course, it would be one of mine. The socialization that goes on in homeschool circles has to be one of the gems that make homeschooling so desirable. Anna said: ‘It’s funny isn’t it – a local guy came up to me the other day and said “I don’t know what your doing with your kids but whatever it is keep doing it, they are so polite and really amazing kids” Then the next day, some stranger is asking me if I’m worried about the socializing’. You can read more responses here. There’s no doubt about it; homeschooling does enhance, rather than hinder a child’s social skills. And the social side of life is actually another great reason to choose homeschooling. P.S. When you ‘like’ me on Facebook you can get the free eBook, ‘Cyber Safety for Homeschool Families’.